Our favorite women's everyday tee. Layered with everything and still stunning by itself. 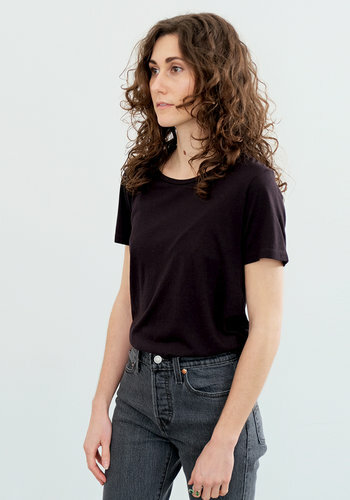 The super soft Lorel tee features a barely tapered body with a comfortably wide neck and shortened sleeves. Jungmaven’s founder Robert Jungmann began creating naturally dyed hemp clothing in 1993. Today the brand continues its use of Hemp Fabric and Natural Dyes as a means of renewable and environmentally conscious production. Jungmaven uses their decades of experience in order to mill a soft and breathable hemp fabric that is used in every garment. Jungmaven creates its garments in order to help promote the use of hemp in clothing manufacturing. Hemp is a quick growing crop with low ecological impact that could be used to help mitigate the impact of climate change.